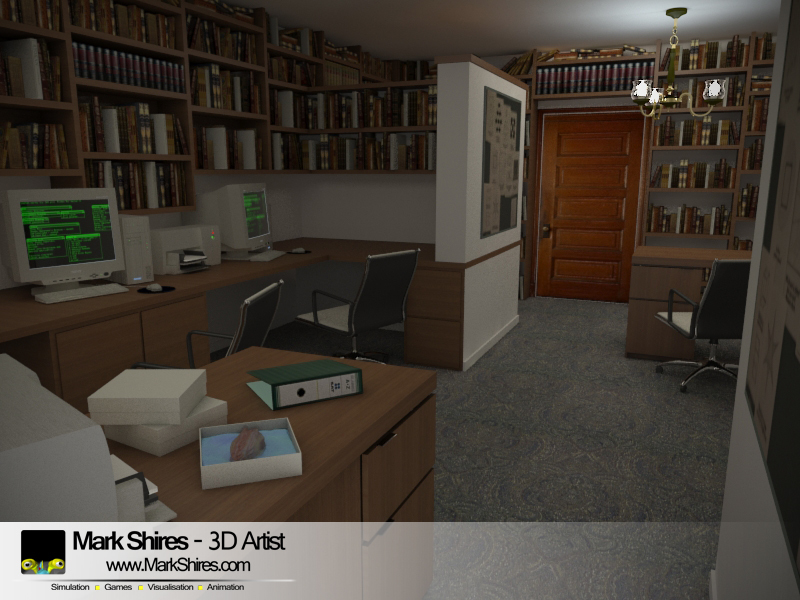 Another recent project that I have completed is a Museum/Library Room, that will be used as the background in an Upcoming game. Considering that the lights are on the ceiling you should get deeper shadows. I Agree, however this was created for a game background and they wanted the lighting fairly flat so that they could do something clever with the lighting inside the engine.